Last year, an esteemed panel of well-traveled sommeliers declared the Texas Hill Country one of the best wine regions to visit in America. And what city sits smack in the middle of a region with more than 46 wineries between Austin and New Braunfels? San Marcos, a cool hippie enclave and home to Texas State University. Now that tourists and traffic have ruined Austin forever (just kidding ATX, we love you even when you’re bloated), many of the old-school Texans who kept it weird have flocked south to this laid-back, artsy alternative that’s been pretty much the same since the ’60s. And nothing says “vacation” like lying on your back with a beer and floating down a river in the sun, an activity you can pursue on both the San Marcos and Guadalupe Rivers. 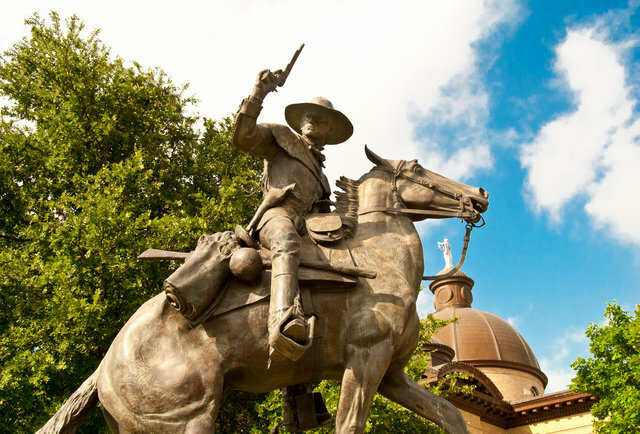 And San Marcos has all the makings of a great wine-and-adventure region, with breathtaking scenery and proximity to nearly all the large Texas cities.